Four Dreamworld staff, three of whom were the first responders at the Thunder River Rapids ride tragedy in 2016, are suing the park’s parent company Ardent Leisure for psychological trauma. Safety officers John Clark, Shane Green and Rebecca Ramsey, and engineer Paul Burke, are filing a statement of claim against their former employer for “significant psychological injuries”. 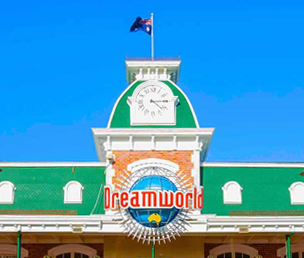 All have left Dreamworld and are undertaking counselling and three of them are giving evidence at this week’s reconvened inquest, which follows a recess after the June hearings. Shine Lawyers is representing all four. Shine Lawyers solicitor Tina Ibraheem was quoted on abc.net.au as saying that while the former staff members were undergoing counselling, their trauma would stay with them for the rest of their lives. Ibraheem said it was too early to determine when the claim would be lodged and how much compensation the former employees would be seeking. In a statement posted on news.com.au, she said their level of trauma is beyond anything she had ever seen. “Nobody should ever have to see what they were confronted with when they entered that trench,” she said. “The victims’ bodies were so badly disfigured from crush and compression injuries that these first aid officers were completely helpless, there was nothing they could do. The nation was overcome with grief and everybody tried to piece together in their minds what happened to those innocent people as they were dragged into that machinery. 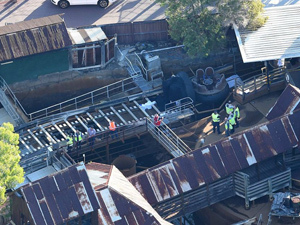 The inquest heard that Dreamworld had been earlier advised to eliminate human error or to simplify the shutdown procedure on rides before the October 2016 tragedy. 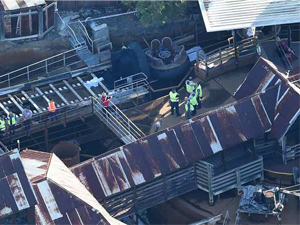 The inquest was shown a letter from a staff union representative on “operations ideas” after a November 2014 incident on the same ride that resulted in the sacking of ride operator Stephen Buss. The letter warned that some staff believe that supervisors are out to get them and this was affecting performance. 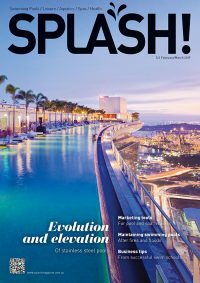 It also stated that the reliance on staff to shut down rides in emergencies increased the likelihood of incidents and it was advisable to eliminate the potential for human error. The letter suggested there should be a single button for staff to hit in an emergency shut down. Buss told the inquest he never undertook a practical emergency drill during his eight years at Dreamworld, and in a transcript of a WHS interview he said his dismissal was silly and the company should have used the incident as a learning experience for him and other staff.